Becky’s technical background includes 15 years of research and study in biological sciences. She earned a B.S. in Cell Biology at Lanzhou University (China), an M.S. in Plant Physiology at the Institute of Botany, Chinese Academy of Sciences, and a Ph.D. in Molecular Biology at the University of Missouri-Columbia where she was awarded a Molecular Biology Fellowship. Becky also worked as a research scientist at the Institute of Oceanology, Chinese Academy of Sciences, and conducted post-doctoral research in plant signal transduction at the University of Missouri-Columbia. Becky received her J.D. with honors at the University of Washington and was an editor for the University of Washington Law Review. 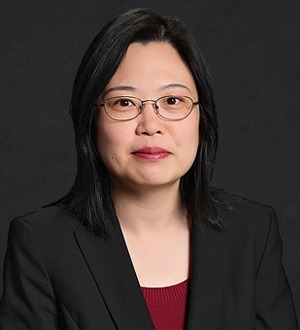 Becky helps biotechnology and pharmaceutical companies (including U.S., European and Chinese companies) obtain strategic patent protection for their technologies, minimize patent infringement risks, and facilitate their research collaboration or merger and acquisition activities. She drafts and prosecutes patent applications related to various technologies, such as immunotherapeutics, proteins, genes, small molecules, pharmaceutical compositions, disease diagnosis and treatment, nucleic acid analysis, medical devices, and transgenic animals and plants. Becky also provides patentability, validity and non-infringement analyses and opinions in these areas. She lectured on U.S. patent practice in Chinese Intellectual Property Training Center in Beijing. Becky has published articles on topics in patent law, including doctrine of equivalents, enablement and double patenting. Becky is admitted to the Washington State Bar and is registered to practice before the U.S. Patent and Trademark Office. She is a member of the Washington State Bar Association, the American Bar Association, the American Intellectual Property Law Association, the Washington State Patent Law Association, the Washington Biomedical and Biotechnology Association, and a member of the BayHelix group, an organization of leaders of Chinese heritage in the global life sciences and healthcare community.